I think this is one of the most versatile stamps sets ever! So many possibilities! And it is the new Ronald McDonald house stamp set. For every stamp set purchased, $2 will be donated to the Ronald McDonald house! 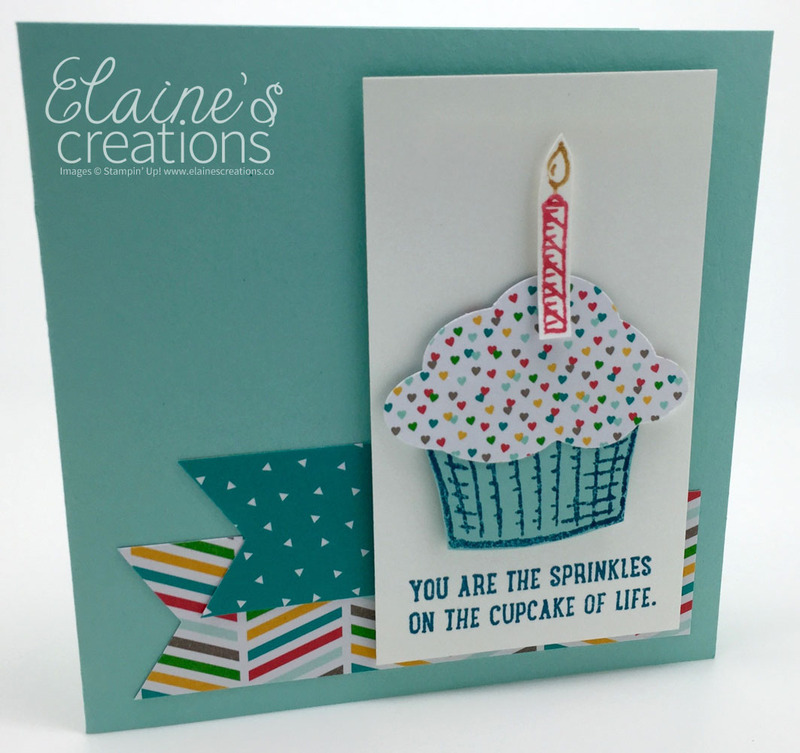 This is a simple, quick and cute 4x4 birthday card. I used the new Banner punch for the ends of the paper. It can cut banners at 1', 1-1/2, and 2"!